Astronauts tested toys in space to help students learn about the laws of science. Image Credit: NASA What better way to engage your students than using toys to teach the laws of science! Students play the roles of engineers and scientists as they examine the characteristics of toys and games in the classroom and compare the results with the behavior of the same toys in space. Astronauts tested the physics of many different toys in space, and the International Toys in Space project is the result of those investigations. On April 12, 1985, space shuttle Discovery carried the first 11 toys into orbit on space shuttle mission STS-51D. The next set of toys flew on space shuttle mission STS-54 in January 1993. The crew took some of the same toys from STS-51-D back into orbit along with 29 more. In May 1996, the STS-77 mission crew took 10 of the STS-54 toys that had not been tested back into orbit. In 2002, the Expedition 5 crew tested 16 international toys and sports activities on the International Space Station where there was more room to perform the experiments than in the shuttle. For all four missions, crew members carried along the questions of curious children, educators and parents who had suggested toy experiments and predicted possible results. A few dozen toys and a few hours of the crew members' free time have brought the experience of free fall and an understanding of gravity's pull to students of all ages. The International Toys in Space: Science on the Station payload was conceived as an experiment in which the International Space Station crew members and the student viewers would be co-investigators. Astronauts tested 16 toys to learn how the laws of physics would affect the behaviors of the toys. Students begin the experiment by investigating how the toys function on Earth. Then they watch the videos to see how the toys behaved in space. NASA has assembled a set of educational resources about the toys for teachers to use in the classroom. A set of videos was created for teachers to use with the activity kit. The clips show the astronauts testing the 16 toys on the space station that are featured in the International Toys in Space Video Resource Guide. Expedition 5 science officer Peggy Whitson narrates the videos. 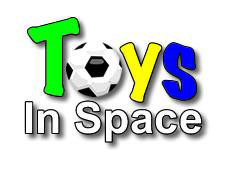 This guide provides information about each of the 16 toys tested in the "International Toys in Space" project. Also included in the guide are classroom activities, brief descriptions of what happened to the toys in space, and lists of relevant terms, principles and equations. Use the resource guide for activities and classroom instruction before watching the videos. Schedule a video conference and investigation with NASA's Digital Learning Network. Astronauts experimented with a variety of toys on the International Space Station to help students understand microgravity. In this activity, students predict the behaviors of the toys and watch videos to determine if their predictions are correct.